While there's been a smattering of announcements out via distributor and the publisher's own web site, Dan Nadel assures me that CR is still able to "break the news" that his PictureBox Inc. is going to do a line of books with Ryan Holmberg called Ten Cent Manga, so that's good enough for me. Actually, just the fact that PictureBox is doing a line of manga, building on some of its previous efforts and Holmberg's own, fascinating work with that aspect of comics, should be good enough for us to take wide notice whenever we can. There are two books coming out in 2013 from the line, both of which feature the series design work by Jason Booher and Helen Yentus. According to a statement supplied CR by the publisher, the series is designed to reflect the way that mid-20th Century manga was less "an independent world of its own" than in part reflective of a significant influx of American comics and cartoons from the 1920s through the 1970s. The line promises both largely forgotten one-offs and ignored work from various manga superstars. The first, Last Of The Mohicans, will be out in May 2013. That is a 160-page, two-color hardcover featuring work by Shigeru Sugiura (1908-2000), with editing/translation/essays by Holmberg. Holmberg and Nadel sent along this description. Sugiura Shigeru (1908-2000) is widely regarded as one of the masters of Japanese comics. 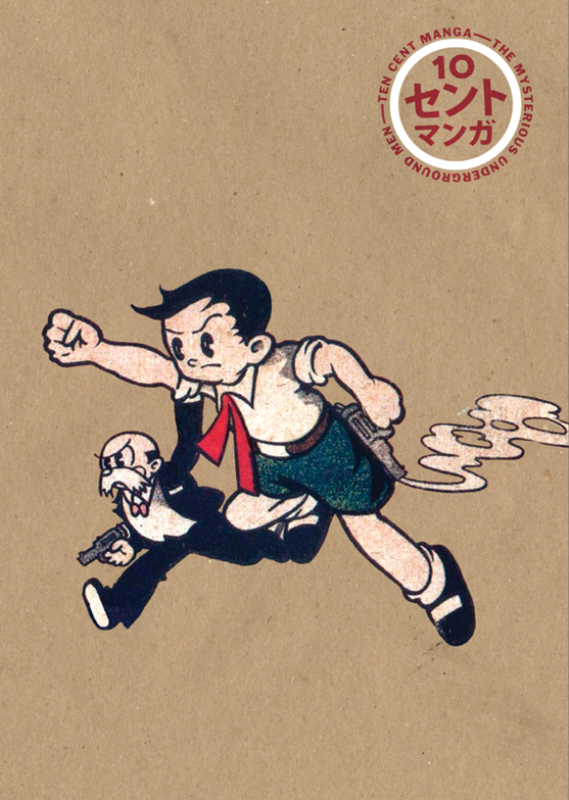 Getting his start with short one-off humor strips in high-circulation KÅ�dansha publications in the 1930s, Sugiura turned to longer stories for a wide variety of youth magazines after World War II. The word "nonsense" is often used to describe his work in this period, characterized as it is by slapstick, non sequitur narratives, and bizarre bodily transformations. A fan of American silent comedies and New Yorker-type cartoons since his youth, his famous postwar work often mashes together American Westerns, sci-fi pulp magazine illustration, and comic books together with ninja and monsters from traditional Japanese popular culture. Sugiura's break came in 1953. He had been invited to draw for the new "Fun Manga Library," a kind of Classics Illustrated in manga form by youth publisher ShÅ«eisha. Amongst the literary classics Sugiura chose to adapt were Ninja Sarutobi Sasuke and, building on his obsession with Hollywood Westerns, James Fenimore Cooper's The Last of the Mohicans. The first selling over 120,000 copies and the second more than half that, the books made the artist one of the most sought-after children's manga artists of the 1950s. While his popularity had faded by the mid 60s, Sugiura made a comeback later in the decade with a number of highly surrealistic, collage-like works that stand on their own amidst the era's vaunted psychedelic art and design. Amongst these were re-workings of his biggest hits from the 50s, including The Last of the Mohicans in 1974. The book veers constantly from low-brow cartoon spoof to reverent high art adaptation. It combines Sugiura's signature brand of absurd action and grotesque caricature with exquisitely rendered landscapes of the American Southwest (never mind that the story is supposed to be set in Ohio) and detailed images of Eastern Algonquian Indian and Colonial dress and weaponry. Considered a masterpiece of postwar manga, and one of the strongest books of Sugiura's beloved oeuvre, The Last of the Mohicans is as beautiful to look at as it is a delight to read. The second book in the series, The Mysterious Underground Men, will be out in October 2013. That is also a 160-page, two color hardcover, this time featuring comics from Osamu Tezuka (1928-1989) in addition to the support and accompanying work by Holmberg. Nadel and Holmberg sent along a much shorter piece of text in support of this book. While Tezuka Osamu's New Treasure Island (1946-47) was the first major hit for the "god of manga," the artist himself regarded a later book the first of his signature "story manga." Originally published in Osaka in 1948, The Mysterious Underground Men tells the story of Mimio the talking rabbit, as he struggles to prove his humanity while helping his friends save earth from an invasion of angry humanoid ants. Inspired by Bernhard Kellermann's Der Tunnel (1913) and drawing widely on European and American science fiction, as well as Milt Gross' own pioneering "graphic novel," He Done Her Wrong (1930), this full-color edition of The Mysterious Underground Men will not only introduce to English-language readers a founding monument in modern Japanese comics. 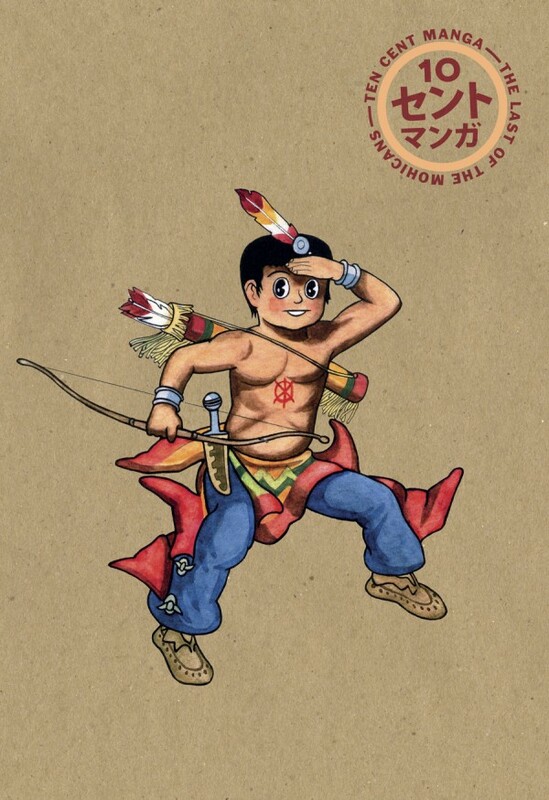 It will also offer a rare glimpse at the wide-ranging Western cultural sources that made up young Tezuka's world. The cover to the first is above and the cover to the second is below.